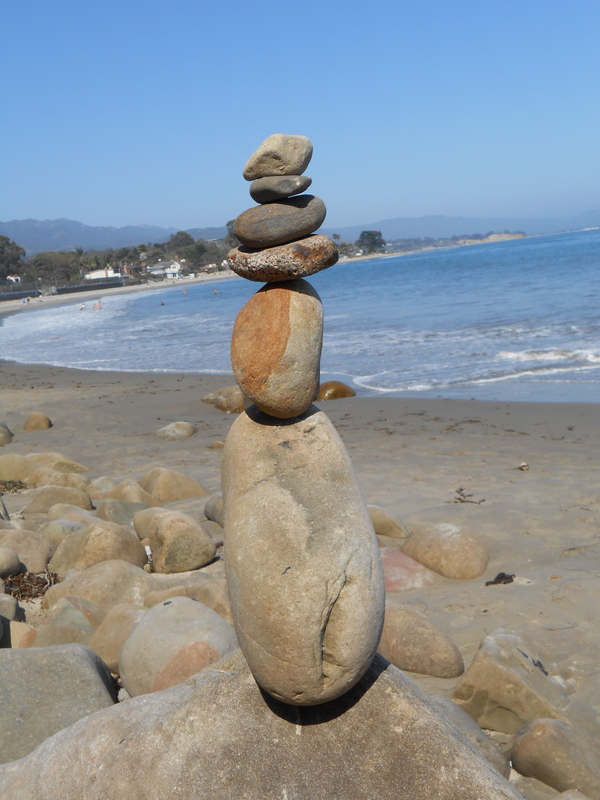 This entry was posted in La Casa de Maria, Travel and tagged family ritual, stacking stones by rambler1959. Bookmark the permalink. Hello, Michael — I am Vicki Dennis, a friend of Kathryn’s. I am part of the painting group which gathers each September to paint together at Joyce Nance’s house at the Hood Canal. I am following Kathyrn’s adventures in Bali with great interest. I am so interested in the area and the work you all are doing there. She suggested that I read your blog, and I enjoyed your entries so very much! Thank you for sharing your adventures. I look forward to reading more about your trip, and hearing even more details from Kathyrn at the Canal. Thanks for taking time to record your thoughts and impressions of a marvelous trip that most of us only dream of undertaking! Welcome, Vicki. 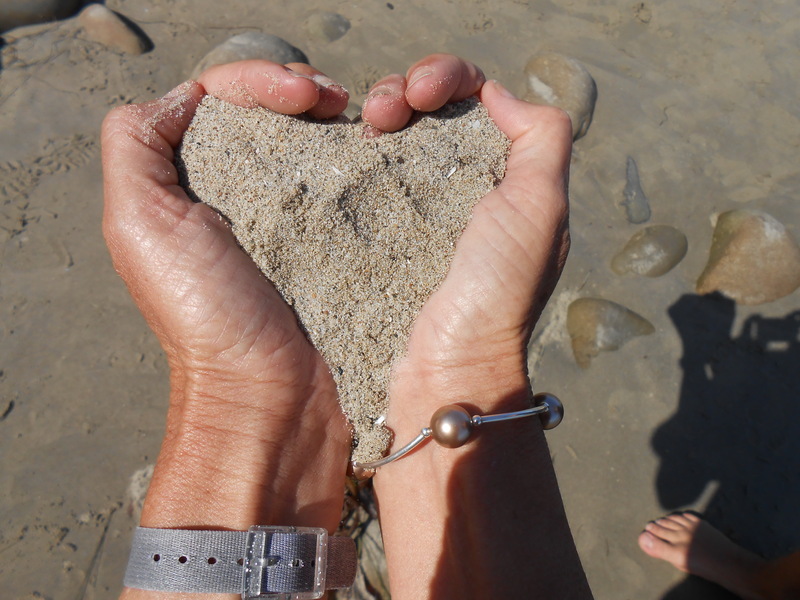 I love having artists follow the blog and I really appreciate your comments. Kathryn sent me a photo today from Bali – looks like she’s enjoying herself and will be totally relazed when I join her in a few days. 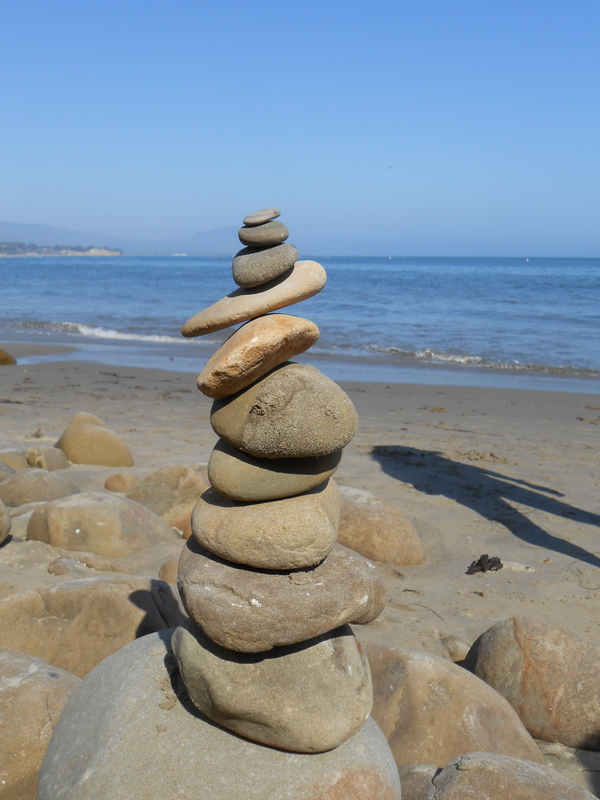 If you are asking me how I stack my stones, I would need to look back at my life to recognize that there is a significant pattern. 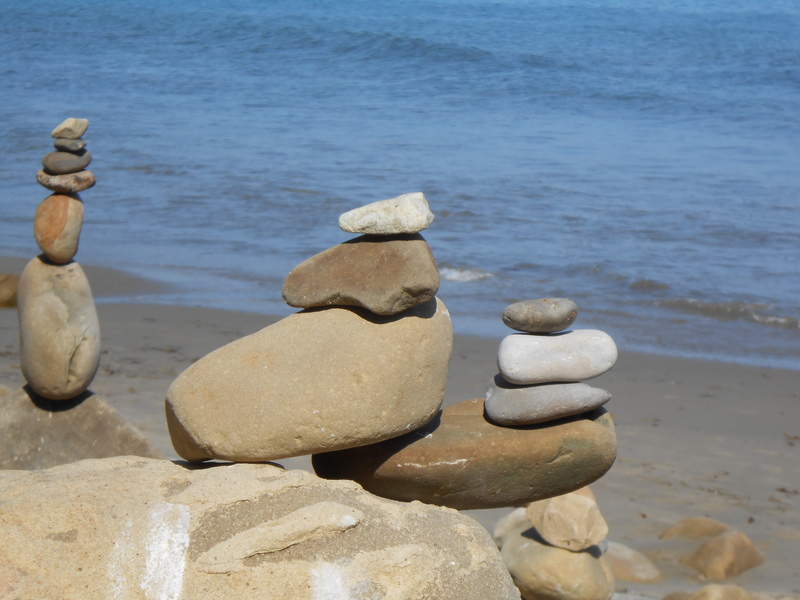 My stones all stack upon something massive — something so significant to my life that it shapes the way my “stones” of life lean, fall, sit and sway. In common terms we assume boulders as being too large for people to move which is all the more reason for me to come to my own understanding that in my spiritual life and worldly life, God is at the center of my “boulder” which connects the two worlds seamlessly. I willingly surrender to know that I am powerless without. I can’t move “boulders” alone but with God’s grace, I become supernatural by being filled with His spirit to overcome being bound to anything unwanted or desired in my life. He gives me discernment to place rocks where and when I need to, all the while, protecting and guiding me at times my placement is unsteady. Glad to have you along, Tita. Thanks for sharing your comments, too. I’m carrying your Ohana spirit with me around the world.